Jedburgh Combination comprised the 9 parishes of: Ancrum, Bedrule, Bowden, Casteleton, Crailing, Jedburgh, Maxton, Oname, and Southdean. 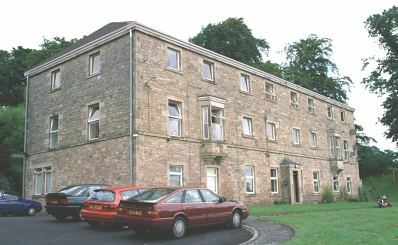 The Jedburgh poorhouse was erected on an elevated site to the west of the town. It was a simple rectangular block of three storeys, with a separate much smaller block to its rear. Jedburgh from the south, 2001.